Throughout the course of the Fall season of Pro League and Open Circuit, we’ve been working directly with pro players and teams on updates to map and weapon layouts that are featured in the esports rotation. These changes focused primarily on Power Weapon placement and balance, automatic weapon availability and placement, and a reduction in the amount of Splinter Grenades on maps. Before we get into the detailed change list, we’d like to chime in on recent conversation and feedback around radar (motion tracker) in Halo esports. Long-time fans will know that this topic is certainly not new to the world of competitive Halo, and we’ve been keeping a close eye on conversation, the healthy debate, and gameplay over the past few weeks, and evaluating all options for both short and long term. 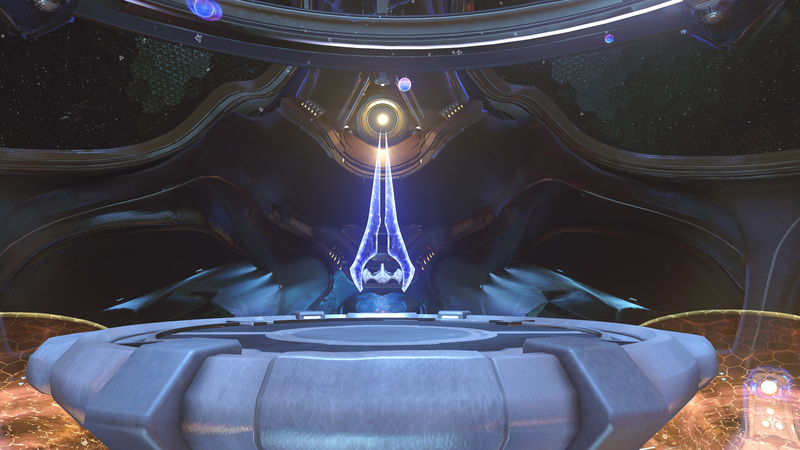 At the bottom of this blog, you’ll find more discussion on the work being done to Halo 5's radar. For a quick synopsis, see directly below. Next up, let’s look at the change list for the map layouts for the Halo World Championship and Team Arena Winter Season with some design input from the Multiplayer team. 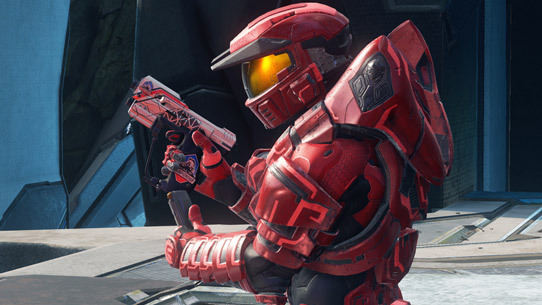 Over the past few weeks, the HCS team has been collecting feedback on the highest priority changes from top players and teams, which once again focused primarily on Power Weapon placement and balance, automatic weapon availability and placement, and a reduction in the amount of Splinter Grenades on maps. While reviewing the weapon layout on The Rig, we focused on alleviating the abundance of power weapons during Slayer matches, while also concentrating on the delicate balance surrounding the initial rush at the start of each game. We decided to remove the Plasma Caster to align with those goals, and also relocated the Sniper Rifle and Railgun, too. You’ll notice that we moved, added, and removed various weapons, and even grenades to reflect these overarching objectives as well. While we enjoyed a season with the Shotgun in play, we felt that it was time to bring back the Scattershot and the creative bank-shot Scatter-angles. This also gave us an opportunity to reintroduce the Needler into Team Arena. We’re hoping to see some of those classic embarrassing clips courtesy of the Pink Death. Once again, these grenade removals fall in line with reviewing the prevalence of Splinter Grenades on map. With this Plasma Grenade change, we’re hoping to find the right balance of Combat Evolved opportunities when teams fight over the Sniper Rifle. To expand, we’d like teams to be able to Combat Evolved the Sniper Rifle at times, but not that it is an all-too-frequent occurrence. On Plaza, we’ve put a big effort towards revising the layout and placement of Splinter Grenades. Additionally, we took note of established spawn-trap strategies that teams have employed over the past few months on both Slayer and Strongholds. So, we took some time to address those setups by shuffling a few things around, including the Storm Rifle and Battle Rifle placement. The Storm Rifle has been moved to a more centralized location for balance reasons. While we did happen to see some cool Scattershot instances on this map, we felt that it was time to make way for a new weapon to enter the fold – the Silenced Assault Rifle. Mainly intended to assist players taking flank routes, we’re curious to see how players utilize this weapon as its introduced for its first time into the Arena experience. While we love a good flag standoff, we’re certainly aware that Fathom can be subject to a few too many of them. In an attempt to quell those cases, we’ve moved the Flag Stand in each base a bit closer to each Generator. Players will have the opportunity to quickly juggle the Flag through the tunnel in Mid, but that doesn’t necessarily mean it’s the best route to take. We’ll be watching over these matches quite a bit over the next few months, so please keep us honest. Previously, flag standoff scenarios were a bit too prevalent. This move should improve the speed and scoring of CTF matches. After introducing the Plasma Caster and Scattershot to Regret last season, we’ve kept a watchful eye on the various styles of gameplay that resulted. While we did appreciate how players controlled these Power Weapons, we didn’t foresee the sticky situations that could occur around the various “chokepoints” of the map. As a result, we decided to replace the Scattershot with the Storm Rifle and reduce the ammo count in the Caster by one clip. When we first launched Halo 5, we never could have predicted to see players moving around the map so quickly. After playing, spectating, and analyzing hours and hours of gameplay, we’ve chosen to revamp this map quite a bit moving into the next season. We’ve reduced the prevalence of Power Weapons on the map, while also reducing the frequency of automatic weapons and Splinter Grenades. 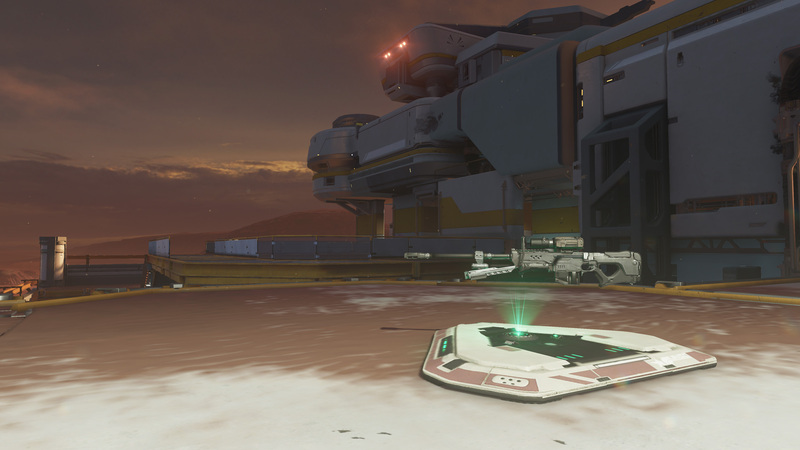 Upon loading into the map, you’ll now see the iconic Energy Sword placed on Top Mid rather than the Fuel Rod Cannon. Additionally, each “home base” will now offer a trusty Battle Rifle at the first level. The Fuel Rod Cannon proved to be a bit strong in these close quarters, so the Sword has returned to its old stomping grounds. The Hydra did not have as much impact as we would’ve liked at mid, so you’ll now find the map’s only Storm Rifle located here. For this change, we wanted to move away from having this Precision Weapon in such an advantageous spot. When respawning in the bottom of a “home base”, we witnessed multiple occasions where players had a tough time pushing out from the bottom level. This change should help coordinated teams make a play to retake control. Empire Strongholds has been a tough cookie to crack. We’ve seen this map and mode combination played for years now (if you include internal, in-development testing), and we’re still eager to tune it just right. You’ll notice that we completely removed Splinter Grenades off the map, mainly to prevent the frustrating scenarios that we’ve seen in some of the high-traffic areas. Next, we removed the SAW in order to make room for the Active Camouflage Power Up that will now be placed in the Tower. Coupled with the Overshield Power Up outside, we’re anticipating some new points of control for this game type, but looking forward to seeing how this plays out. Lastly, we added a Battle Rifle to further strengthen the importance of the Precision Weapons on this map. No more surprise explosions when you Clamber out of that dark alleyway. Camo is now located in the back of the Tower – the goal here is that it will allow teams to utilize sneaky routes to ambush and flank the enemy team. After taking a very close look at the Sniper Rifle placement in Slayer, we felt that it could use a slight adjustment. Now, when you load up a game of Eden Slayer, you’ll see that we moved the Weapon Pad slightly towards the center of the map while also rearranging the explosive barrels. We also took some time to replace the Shotgun in Security with a Silenced Assault Rifle, to reduce the amount of Power Weapons in Slayer matches. Removed one Splinter Grenade from each location to ensure we don’t mess up the feng-shui. Once again, this change falls in line with reducing the overall amount of Power Weapons. These updated map layouts are available right now in the Team Arena Winter Preview playlist. 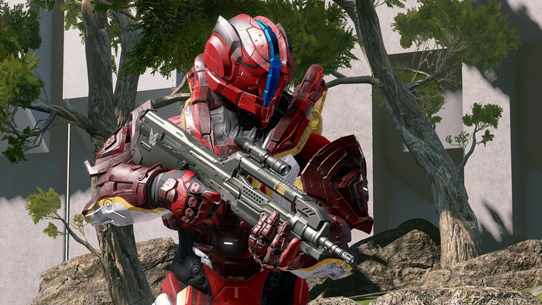 Jump in, play some games, and let us know what you think at the Halo Waypoint forums. For more on radar and ongoing conversations within the studio, read on. 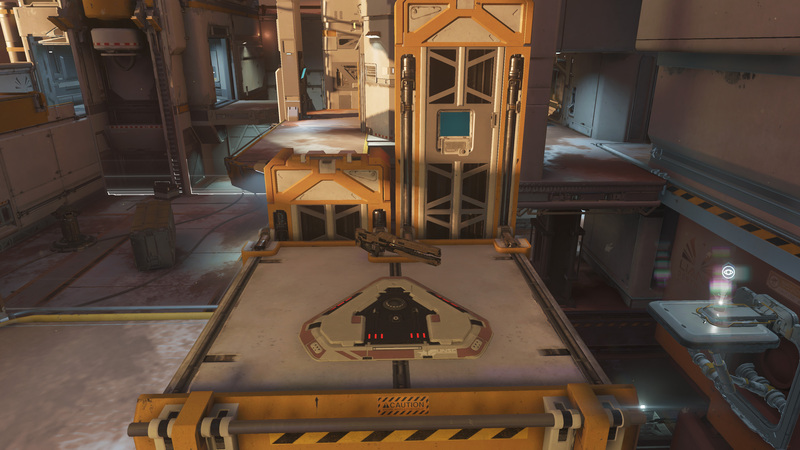 The radar behavior in Halo 5 Arena gameplay is very much interconnected and balanced with a variety of other systems in the game – Spartan movement, map layouts, weapon placement, objective placement, and more. As a result, it is imperative that the multiplayer, sandbox, and HCS teams work together to determine new radar solutions that consider each of these systems and what they mean for Halo 5 gameplay. Within the studio, these teams have rushed to respond to recent feedback and test a variety of solutions with radar, without radar, and updated radar systems. Over the past few weeks, players and fans alike have been discussing the desire to test an updated radar that behaves differently from the current system. We too share an interest in finding a system that provides the best solution for Halo 5 gameplay – one that encourages the right balance of aggression and patience, limited escape-ability and “chaotic” gameplay, and the ideal gameplay flow. 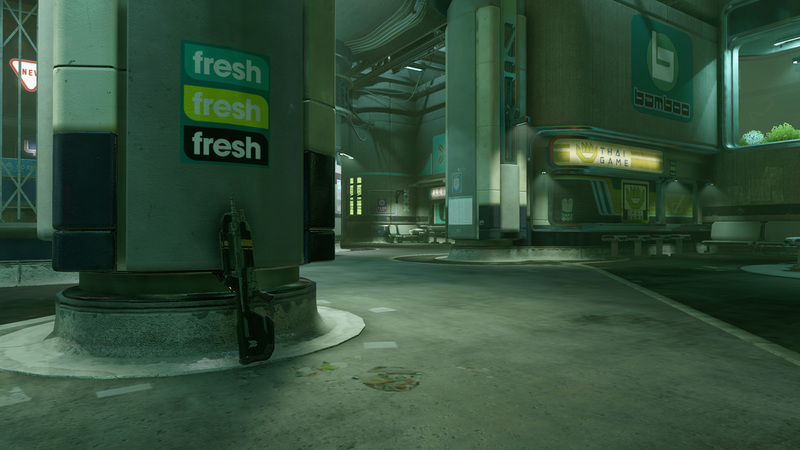 As a result of player feedback, teams here at 343 have been collaborating on exciting new radar options. Specifically, these updated options would give more depth to the radar, allow players to manipulate it in different ways, and give players the ability to determine which Spartan abilities / actions appear on radar. These updates will take a bit of time, however, both to develop and properly test with each of the aforementioned systems. As these updates get closer to completion, we’ll be working with pro players and teams to determine how these new options impact map flow, ideal weapon and objective placement, and more. These are all essential to figure out as we head into future seasons of Halo esports in 2017 and beyond. Developing these new options and getting them right will take some time, but the multiplayer, sandbox, and HCS teams are expediting and prioritizing this work to get something in your hands as quick as possible. In looking at the first year of Halo esports, we’re amazed at the level of competition we’ve seen, the nail-biting matches, and epic Game 7s that have resulted. With the help of partners across the globe, we’ve awarded millions of dollars in prize money, and been blown away by stories of triumph and heartbreak. We’re proud of what we’ve accomplished thus far, and confident in the legitimacy of competition, while still very excited about improvements that can be made. As a result, the Halo World Championship 2017 will feature the default radar systems that have been used in the Summer and Fall seasons of Pro League, while we actively evaluate new options for seasons and tournaments that follow in 2017 and beyond. 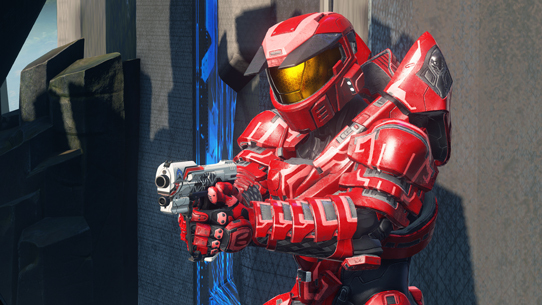 Additionally, we know that HaloWC competitors are eager to begin practicing for qualifiers, and wanted to make a clear decision on this before the holiday break so that players could begin meaningful practice sessions. As we get closer to the end of the HaloWC 2017, the updated radar options will receive a testing period with both pro teams and public alike, with the goal of ensuring that we’re striking the ideal balance across the board for all aspects of Halo 5 Arena gameplay and upcoming seasons. The way that Halo 5 is played is always changing, and we’re working to ensure that the game is updated to accommodate this evolution. We’ll keep you posted on developments and the latest regarding updated radar systems and options. Happy holidays! We hope the season brings you joy and plenty of time to jump in and game. We’ll see you in the playlist.